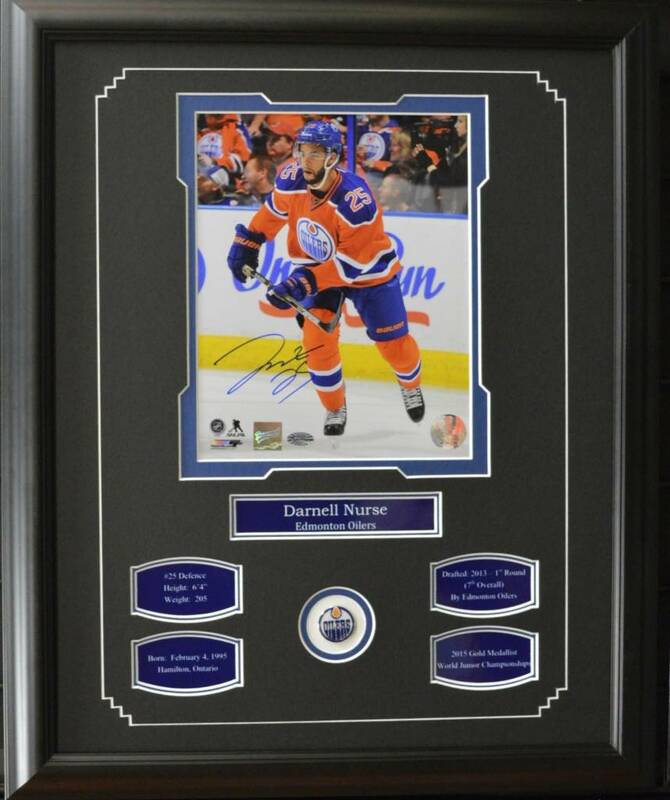 Contains one autographed photo, pin, bio including stats and accomplishments, and nameplate of the player listed. All autographs come with a Certificate of Authenticity. Approximate outside dimensions are 18.5" by 22.5". Double matted in black and team color. Frame is solid wood with 2.5mm Tru Vue Glass. Comes with protective corners and shrink-wrapped.